December | 2005 | How Can I Keep From Singing? What a year! It was a roller coaster of a year for sure. January 1, 2005 – HIGH – Life was good. 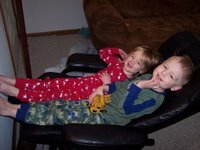 Nathan had been NED (no evidence of disease) for over a year. Antibodies were done (no more travelling to NYC every 8 weeks for incredibly painful infusions for Nathan). Luke and I decide to proceed with trying for baby #3 as soon as we are able. March 14 – HIGH – Very faint positive on pregnancy test! March 16 to March 30- LOW – Nathan begins to have hip pain. Hip pain exactly like he had when he was diagnosed. Luke and I fear the worse – RELAPSE. 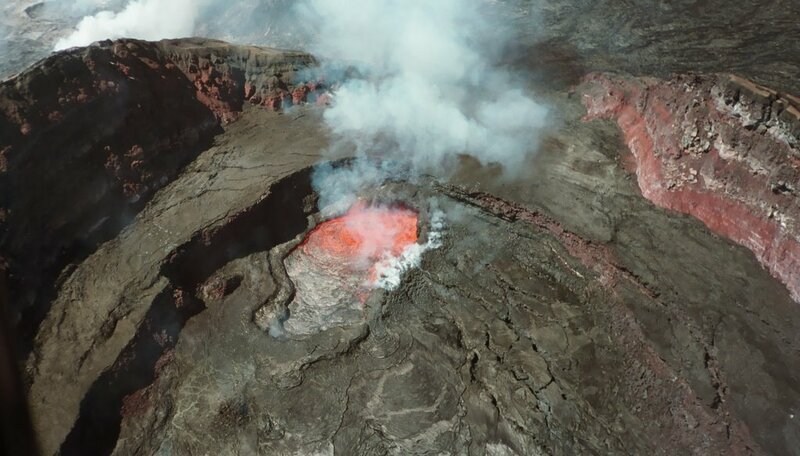 We begin a process of tests and scans. This process takes 2 full weeks during which we are terrified. 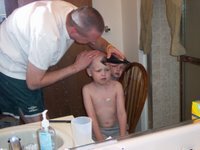 March 31 – HIGH – Nathan’s test results all come back clear of cancer. He has transient synovitis – a virus in the hip. April 3 – April 7 – LOW – Julia is sick – no one is sure what is wrong with her. Turns out she has Kawasaki’s disease (KD). 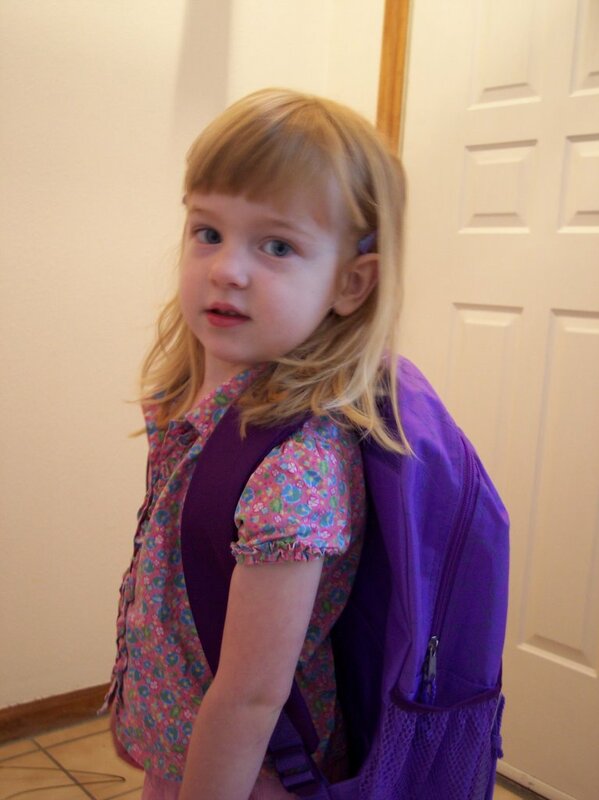 She is hospitalized twice – doctors are disagreeing about whether or not she has KD. She finally gets KD treatment at hospital. A week later heart and blood tests show she did have KD. April 7 – HIGH – leave Julia at hospital to get my ultrasound. Ultrasound shows healthy embryo with a heartbeat. 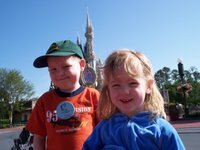 Late April – HIGH – we leave to go to Disney World on Nathan’s Make-A-Wish trip. April – next day… LOW – Nathan’s hip pain is back with a vengence. He cannot walk. We enjoy the Magic Kingdom anyway. May – HIGH – Everyone is feeling good. Julia’s heart is normal, Nathan’s hip is better. Pregnancy is going well. Enjoy a trip to Arizona to hang out with friends. 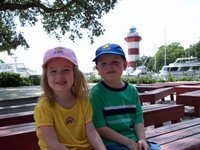 June early part – HIGH – Have a great trip to visit my parents in Hilton Head. June 24 – LOW – Routine scans show Nathan’s cancer has returned. June 28 – HIGH – ultrasound of baby shows all is well. July 27 – LOW – Nathan’s surgery pushed back more to September 15. 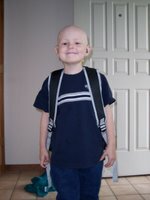 We are getting upset about the delays and the chance Nathan’s cancer will spread while we wait. August 1 – HIGH – Nathan’s surgery rescheduled to Aug 3…off we go! August 3 – HIGH – Nathan’s surgery is succesful. The entire tumor is removed and area irradiated. 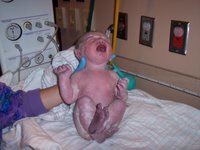 November 16 – HIGH – Lauren Elizabeth Gentry makes her appearance into the world. December – LOW – Nathan has his scans. The anticipation and possiblity of bad news is extremely stressful. December 9 – HIGH – Nathan’s scans are all clear! He is NED once again. So – it has been a bumpy ride – but I am glad I can say that the year has ended with a high! Luke at Volcanos National Park. 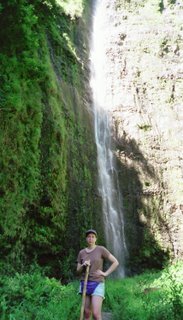 Me at the base of a waterfall at the end of a hike in Maui. 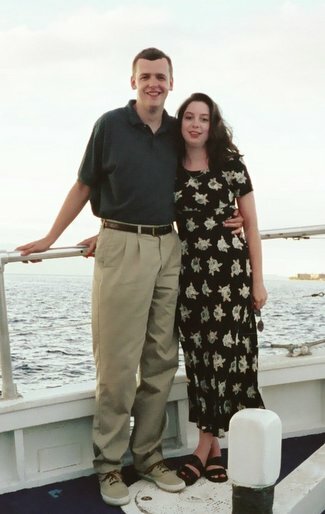 I recently had our honeymoon (September 1997) pictures put onto CD. They were previously on APS cartridges. Anyway – This picture was taken on a sunset dinner cruise in Maui. It was also my 25th birthday. Boy do we look young! Baby Sleeps in Own Room! Last night was the first night Lauren (6 weeks old yesterday) has slept in her own bedroom. She has been sleeping in a bassinet at the foot of our bed. She was definately on a trend of waking up only once per night and so we decided it was time. Well – she slept ALL NIGHT wihtout a peep. She woke up at 6:15! I fed her and then put her back to bed until 8:00. Too bad Nathan and Julia get up at 6:30. 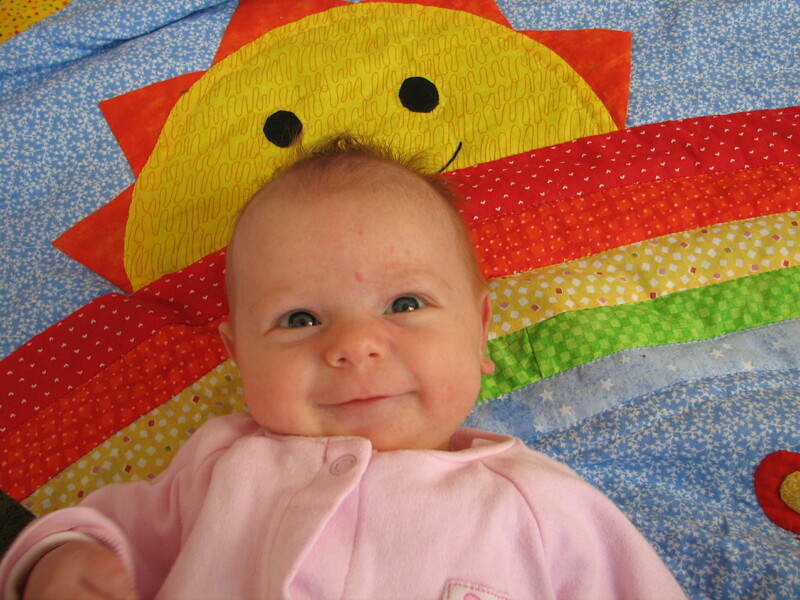 Now – I won’t jinx myself and say this trend will continue – but I am delighted she did so well her first night. 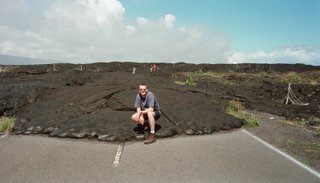 So – I have been blogging for a few years – but in a different forum. 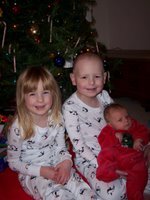 I have kept a website updated on my son’s journey fighting neuroblastoma, a childhood cancer. I have been able to put some personal thoughts on this site – but its purpose excludes me from fully expressing myself and addressing other areas of my life. So – on the heels of my husband, Luke I have created my own blog.